We're looking forward to seeing everyone there and sharing a delicious, hot, cup-o-coffee, or your favorite warm beverage. It's going to be a great networking opportunity for you, and you'll be learning something new as well. So, be sure to register and get it on your calendar. Great Studio Sound for Voice Overs - It's Not About the Mic! This article was shared by John Kissinger who was is a VO Actor and a guest on a recent episode of IDIODC. Reading this article will help you understand that you don't need to spend hundreds of dollars on a mic to get good quality audio for your elearning. There are other factors that are more important. 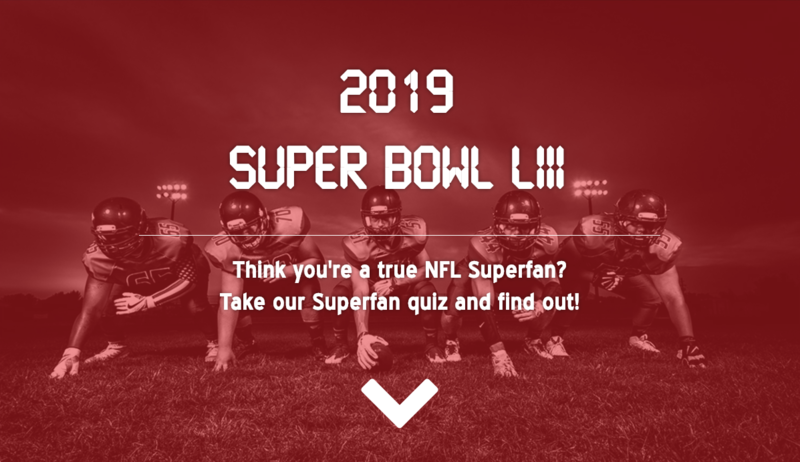 This fun Superbowl quiz was created for the 2019 Superbowl in the US. It uses the new quiz timer feature if you're interested in seeing how that works. In this simulation you'll see how to setup a Flip Set widget that must be viewed by the learner in order to continue on to the next page. We'll accomplish this by selecting the widget and adding the "Is Complete" Trigger to it. We'll also set the Disable Next player setting. The "Is Complete" Trigger is a great way to check that all content has been viewed before allowing users to move on. In Flow you can have long pages of content for your users to scroll through. If you want to guarantee that they have seen all of the content on a long scrolling page, then you can apply the "Is Compete" Trigger to the page. In this simulation we will apply the "Is Complete" Trigger to the page and use the Enable Next action to allow the user to use the next button to move on. This is great reminder to think about how we can get better at the processes we use within our training departments. In this article Kathy writes about options for creating Training Request Forms for your intake process. Normally when you log in to dominKnow | ONE the authoring interface opens in the same browser tab as the log in page. You can adjust what you see in the dominKnow | ONE authoring interface by using the zoom feature in your browser. You can hide both the left-side panel beside the Stage and the Ribbon above the Stage. This is a great way to increase the display size of the Stage while you author, and is very helpful on smaller computer screens like lap tops.